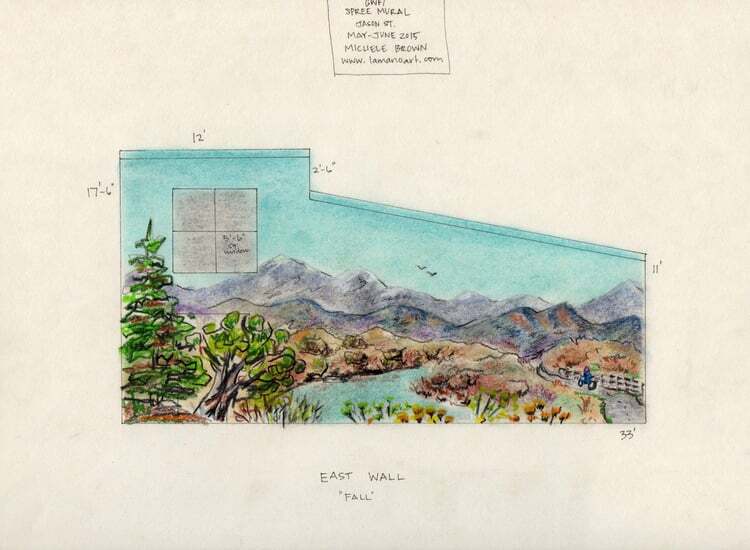 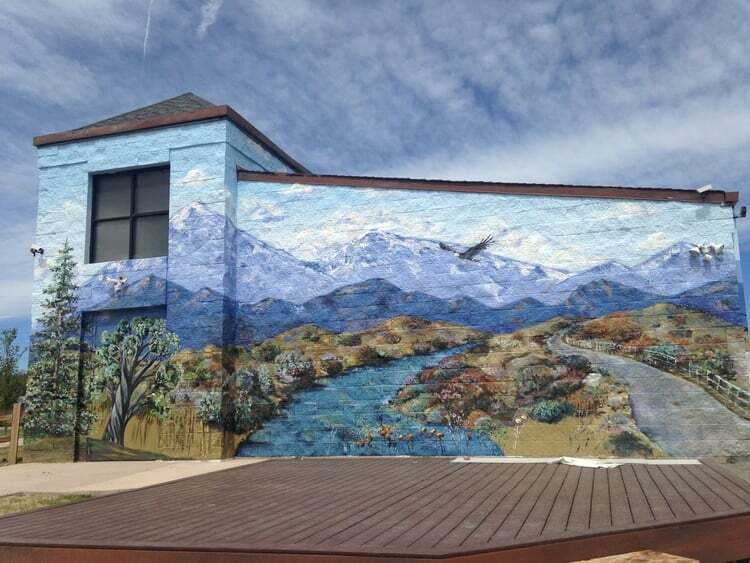 This 1900 sq ft mural was done for the Greenway Foundation’s SPREE education building. 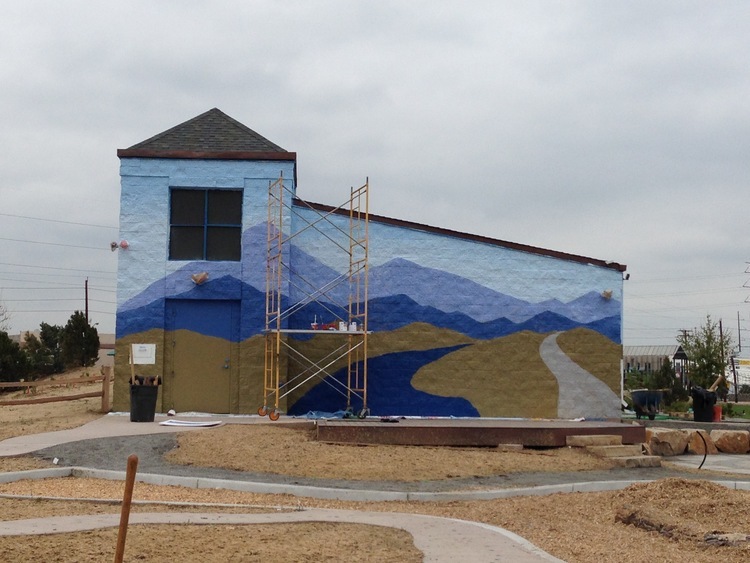 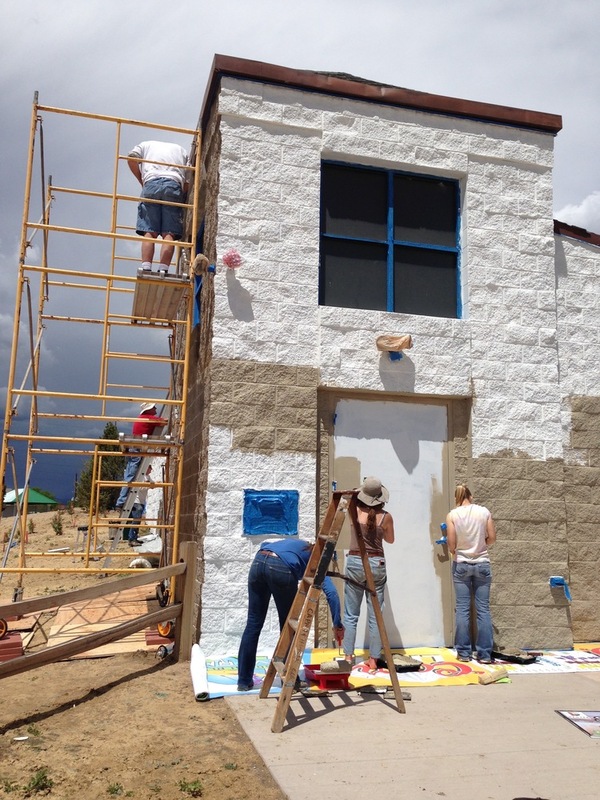 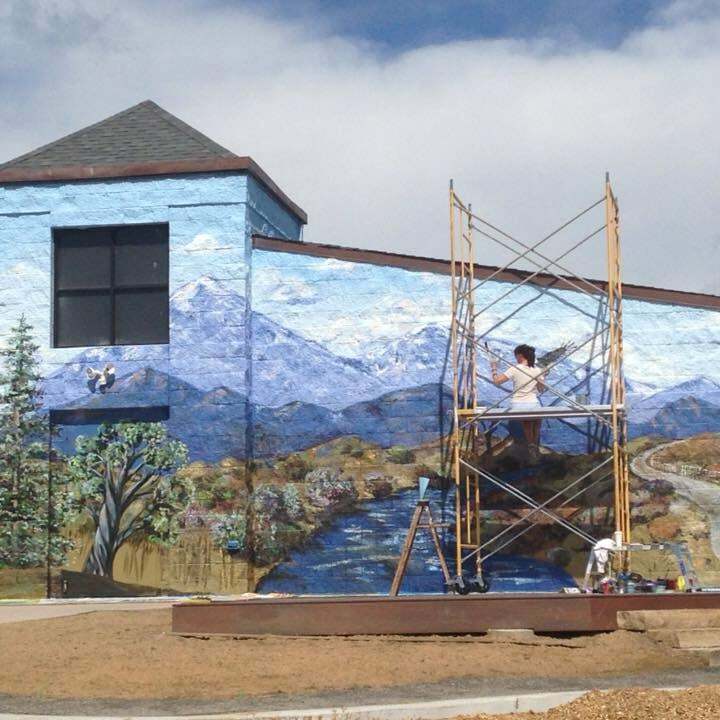 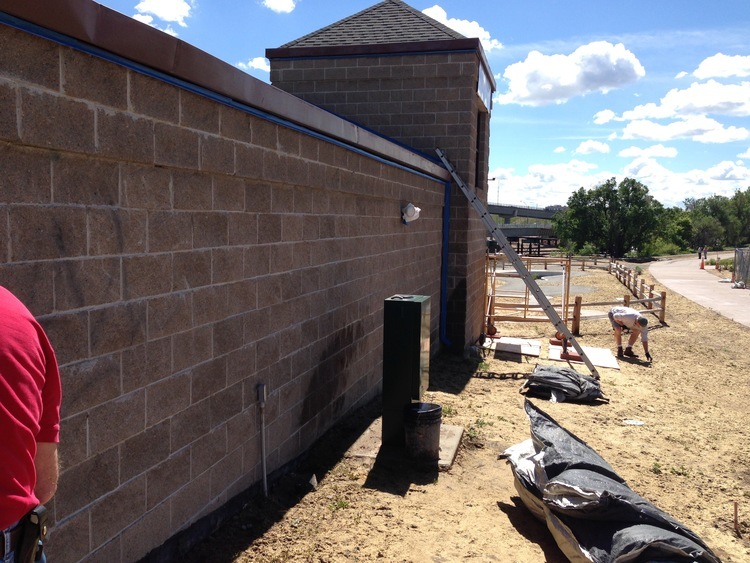 SPREE stands for “South Platte River Environmental Education” and this project transformed the previously dull walls of the building into living pieces of art. 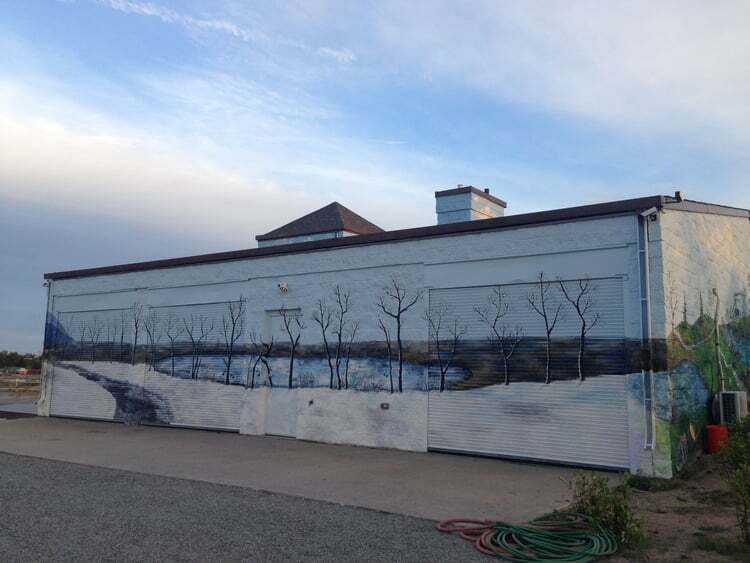 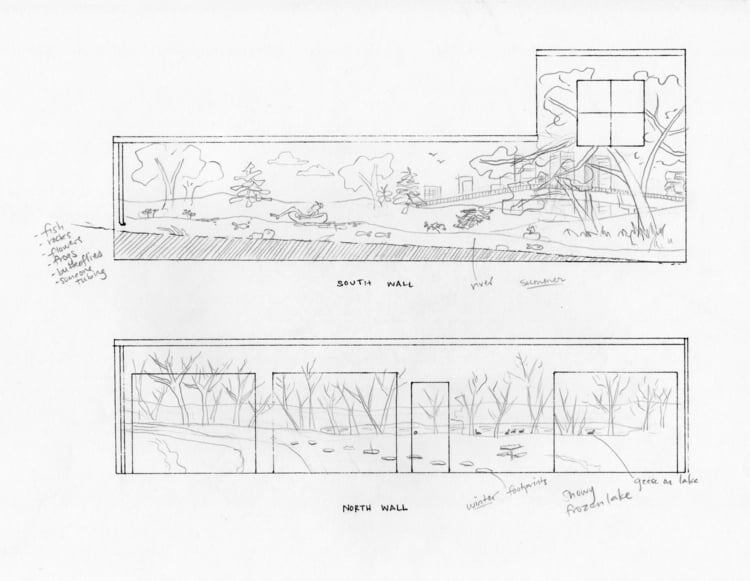 The idea around this mural was for each wall of the building to represent one of the four seasons; Summer, Fall, Winter, and Spring. 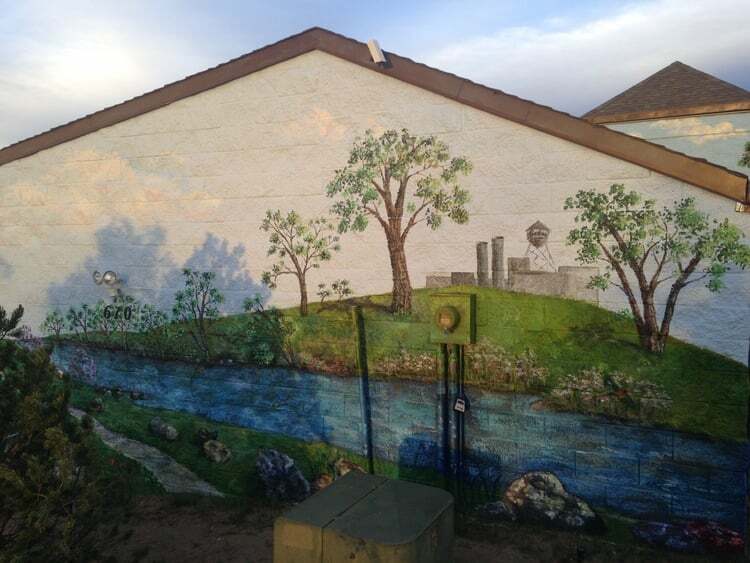 The thirsty split face cinder block texture of this building combined with the uneven surrounding ground created a significant challenge to complete this mural. 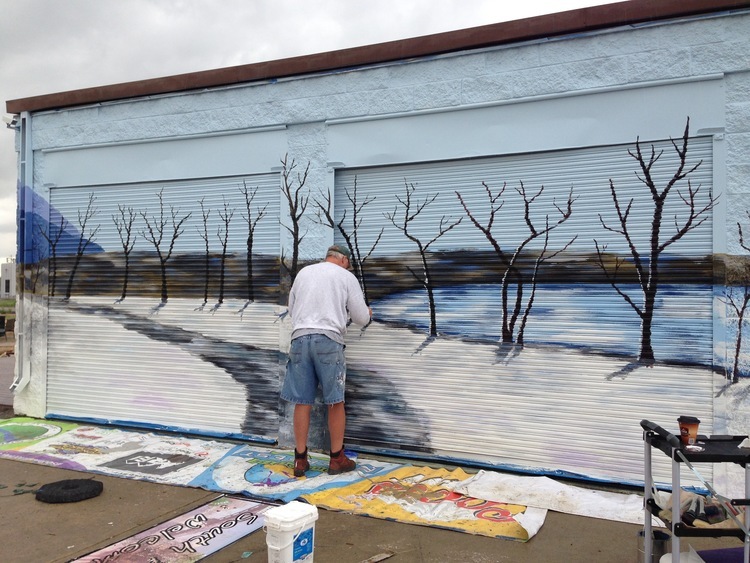 During the beginning stages of the mural, the arduous prep and priming took a lot of man power. 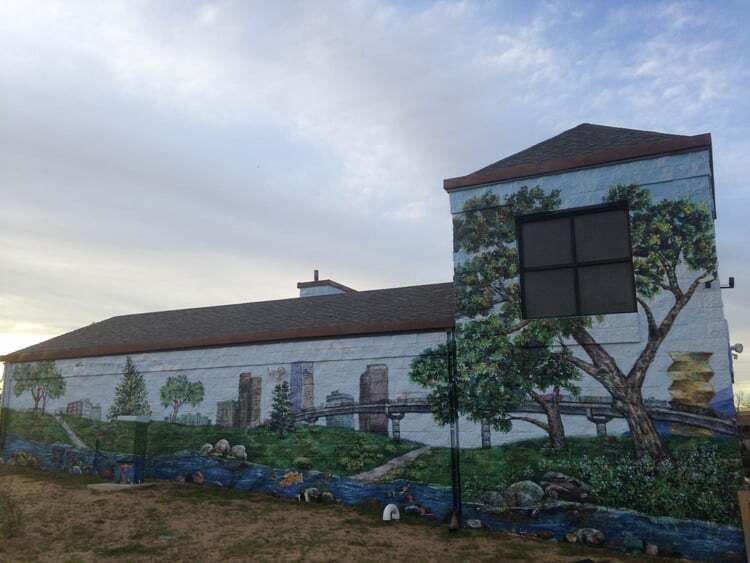 I received help from family, friends,The Greenway Foundation staff, and city workers which gratefully allowed me to be able to focus on the paint and detail work to complete the mural successfully. 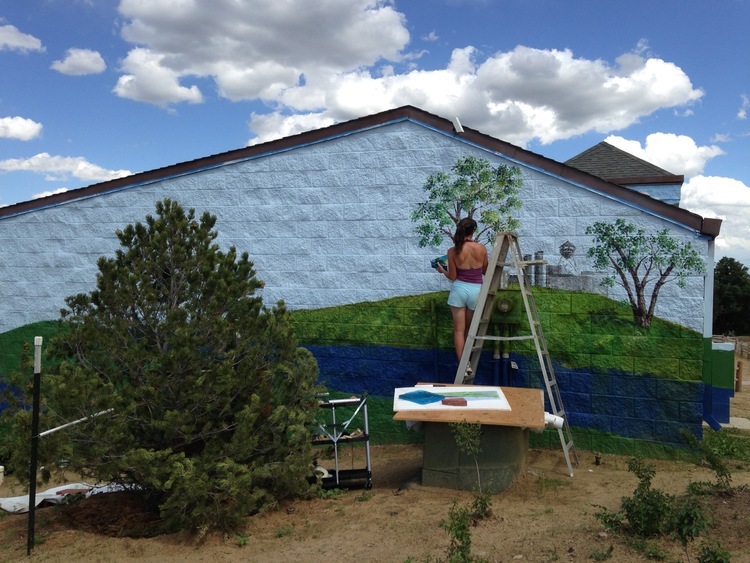 This project was also unique because I was also invited to teach workshops to the children enrolled in SPREE about the art I was doing and have them help me! 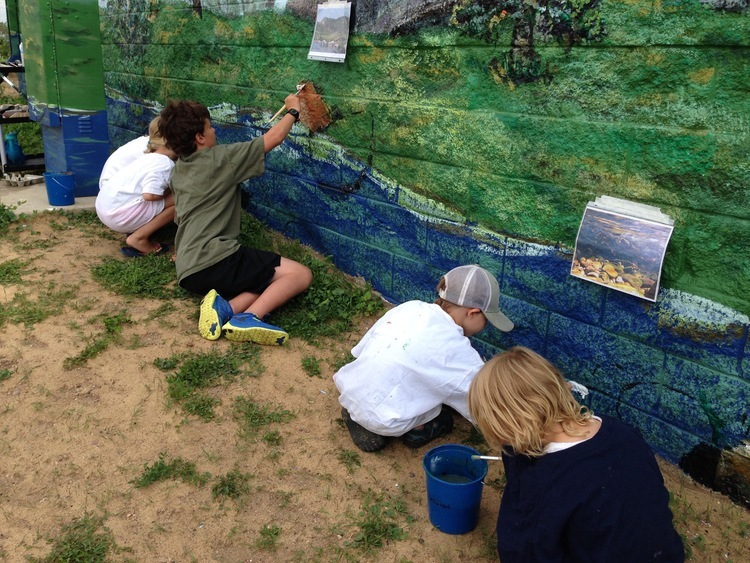 Kids with SPREE learn a number of lessons about taking care of their environment and expressing themselves creatively. 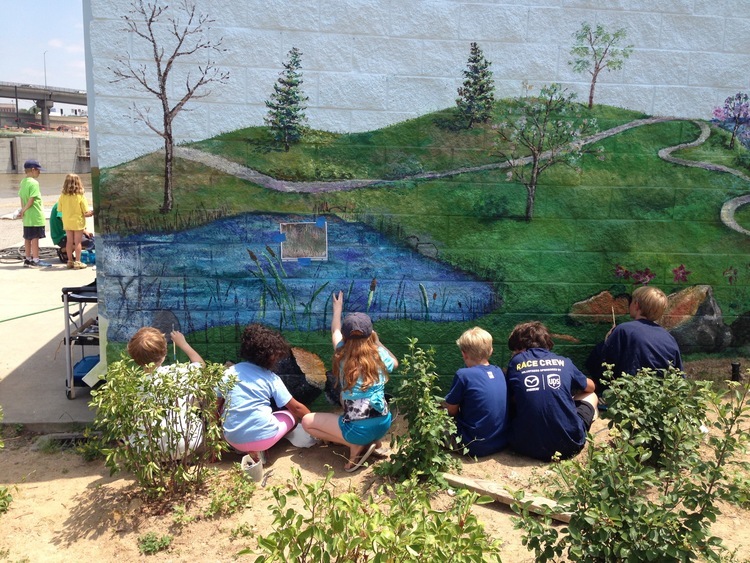 In the several workshops I taught, the kids actually assisted me with this mural installation in addition to painting smaller “mural” boards that combine art and the iconic SPREE mascots. 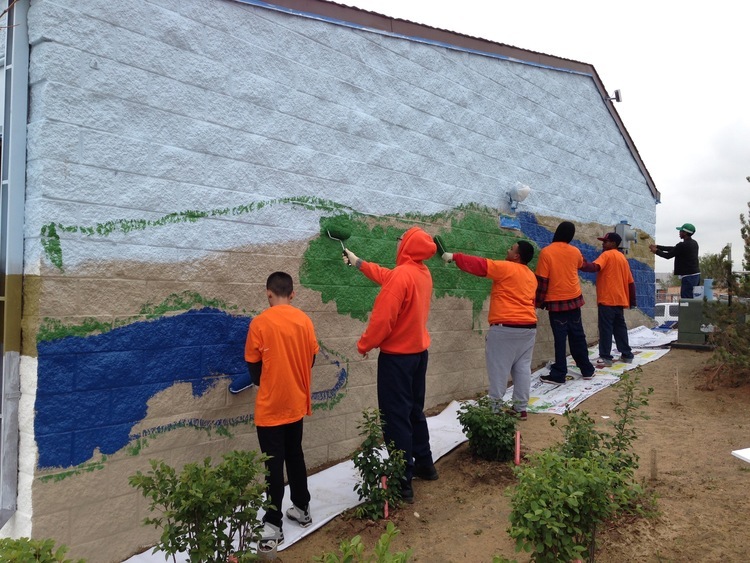 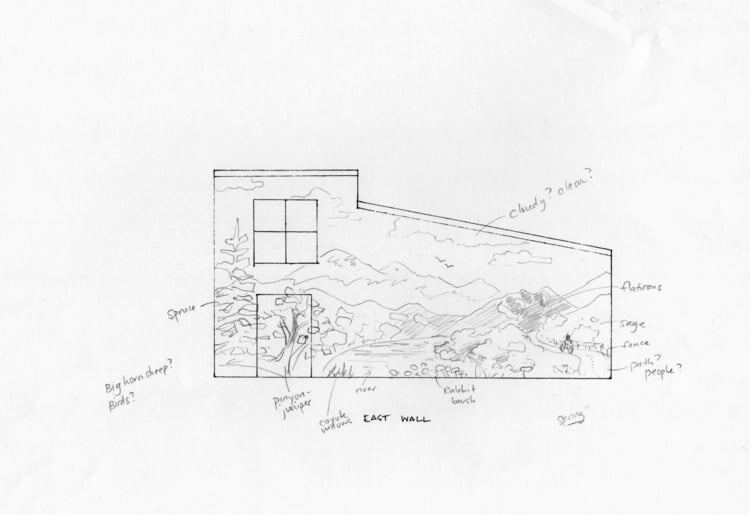 For the outside mural, they assisted with painting rocks, fish, plants and other parts accessible from the ground.